Use the standard Add and remove programs from the Control Panel on your Windows device. To uninstall the Equitrac software from your Mac device you need to download the zip file at the bottom of this page. That’s it. The equitrac software is now uninstalled and the printer will also have been automatically removed from your list. If the Security and Privacy dialog box is locked (closed padlock symbol), click on the padlock and confirm your password so that the pad lock symbol shows unlocked. 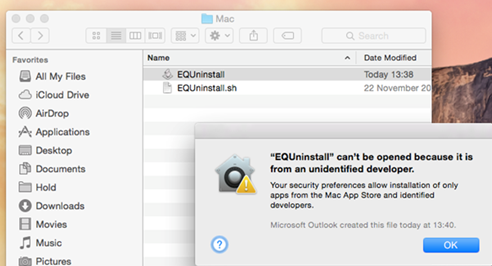 You can now return to the top of this guide and attempt to run ‘EQUninstall’ again. 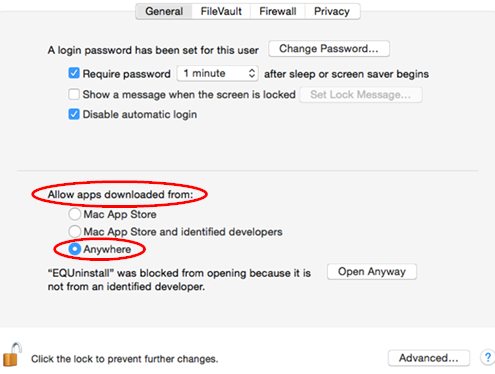 Don't forget to revert your Allow apps downloaded from settings back to either your previous setting or to the default.